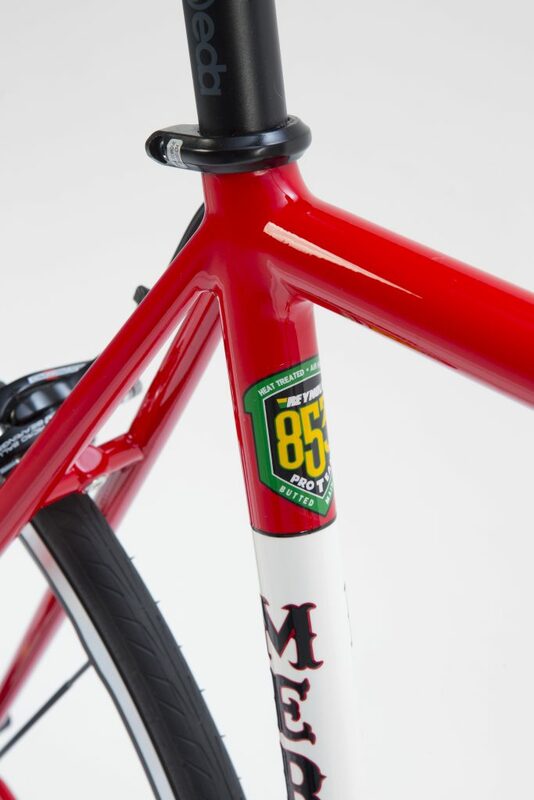 The Mercian lugless frame is fillet brazed, so the frame can be built into a myriad of designs and geometries which can include a sloping top tubed racing frame with disc mounts, mountain frame , hybrid design or track. The tubes are carefully hand-mitred and filed into shape to fit together perfectly before being joined skillfully with brass fillet brazing. The joints are then smoothed and hand filed and finished to give a sleek appearance. 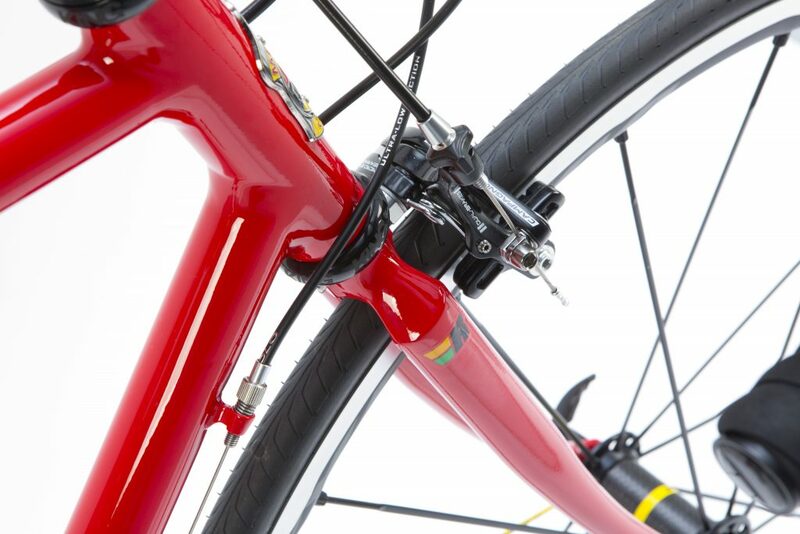 The seatstays are “shot in” to neatly join the seat tube. Built with the collar style seat lug as standard. 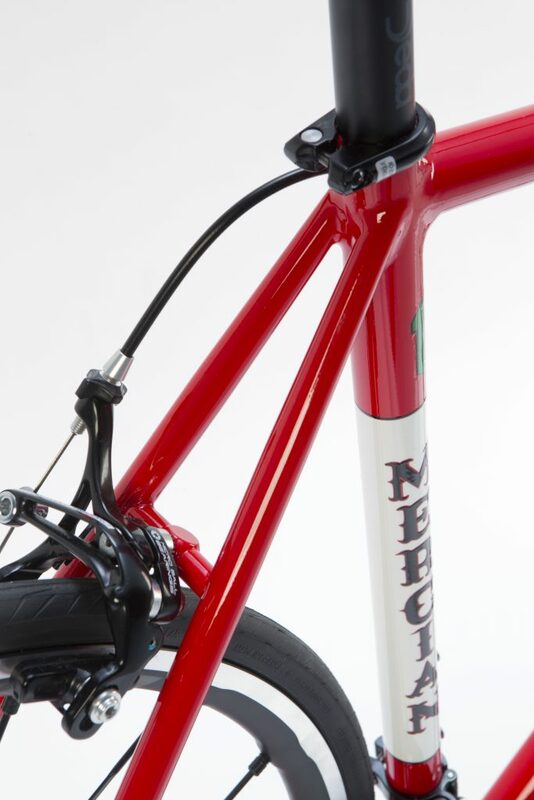 The Pro Lugless has the option to be built with a threaded or A-head fork column or supplied with a carbon fork if preferred for disc brakes. Oversize tubing if required at a small extra charge. Shaped tubes also available with this model, but considered a special order build rather than standard lugless, please contact us with your requirements for details. 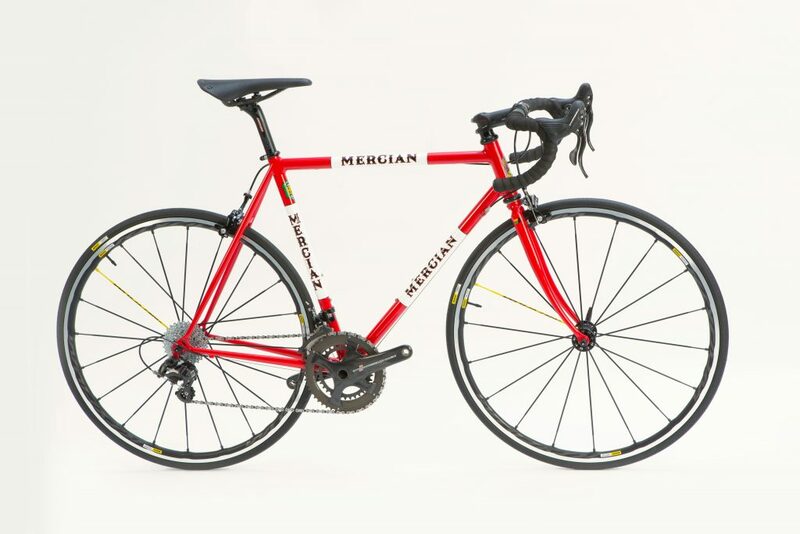 Finish – standard finish is one colour of your choice with Mercian transfers to your choice. 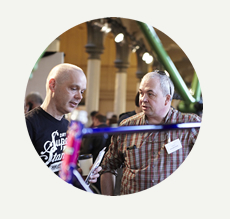 As bespoke builders we can build to your chosen geometry or the geometry you feel comfortable with when you have a bespoke frame fitting appointment. Fastback “shot in” style seat stays butted onto rear of seat tube. 2 x brake cable stop guides on top tube or 3 top tube cable guides on top of top tube. 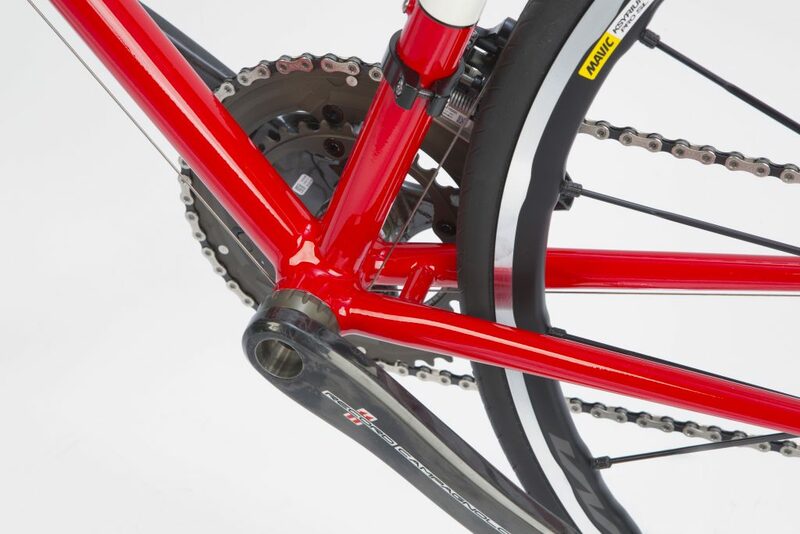 A carbon fork can be fitted if required.